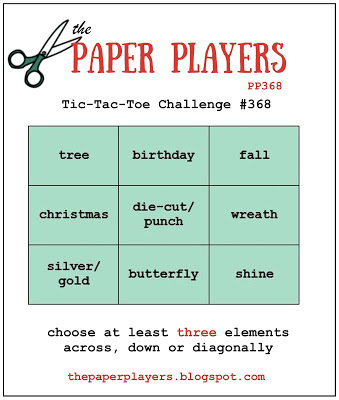 This is my take on The Paper Players#368 here. 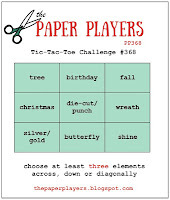 The tic-tac-toe I chose was Christmas, die-cut/punch and wreath. I used the holly stamp from Every Good Wish to create the wreath. The bow is from Jar of Love and the greeting from Flurry of Wishes. And there's some Be Merry DSP. 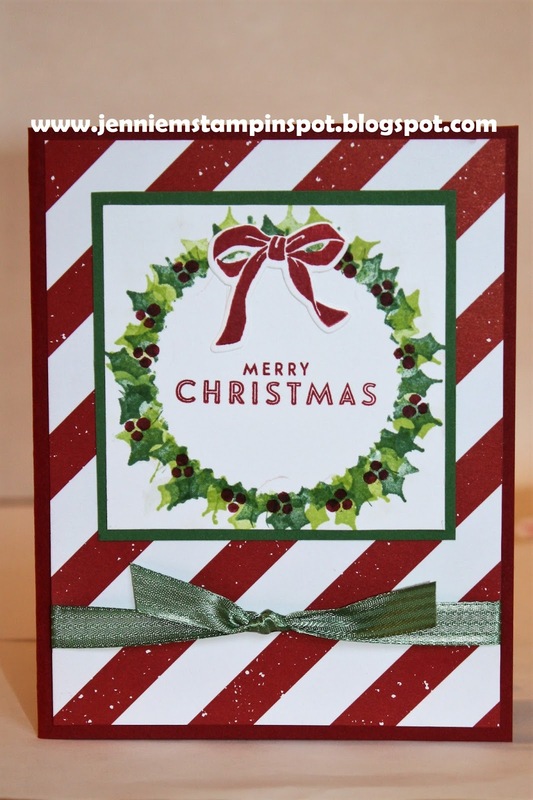 Hi Jennie, this is a fun Christmas card! I like that wreath image and the DSP too! Thanks for playing along over at The Paper Players this week! 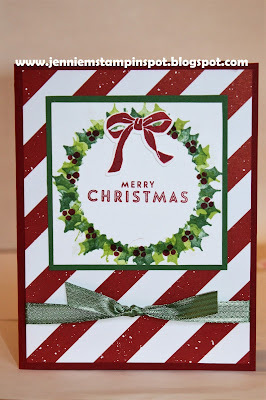 Jennie I love your neat holly wreath that frames your sentiment beautifully; it looks fabulous against the candy cane stripe of your background paper. Thanks for sharing with us over at The Paper Players this week!